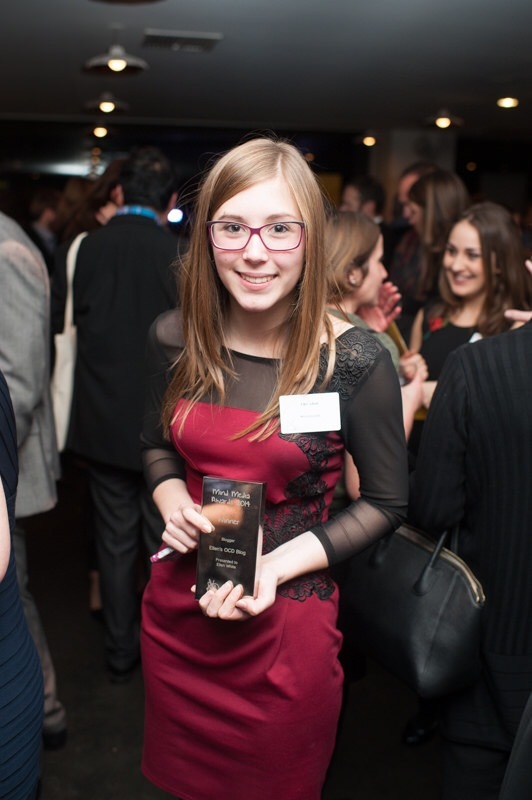 The Mind Media Awards. A night that I will never forget. To be surrounded by so many inspiring people and to celebrate the flourishing positive media coverage surrounding mental health was phenomenal. Categories ranging from Factual Television, Student Journalist, TV Drama, Blogger and many more. The night started with everyone collecting their name badges and taking in the atmosphere of the whole night. I was incredibly nervous and to be finally there was surreal! We then all filled into the theatre where we were all provided with a programme for the awards. It was full the brim! So many amazing people who had contributed to helping raise awareness about mental health all together. A force that I believe cannot be beaten. And so the awards began! Helen Lederer hosted the night and she was fabulous. She really added a spark to the night. 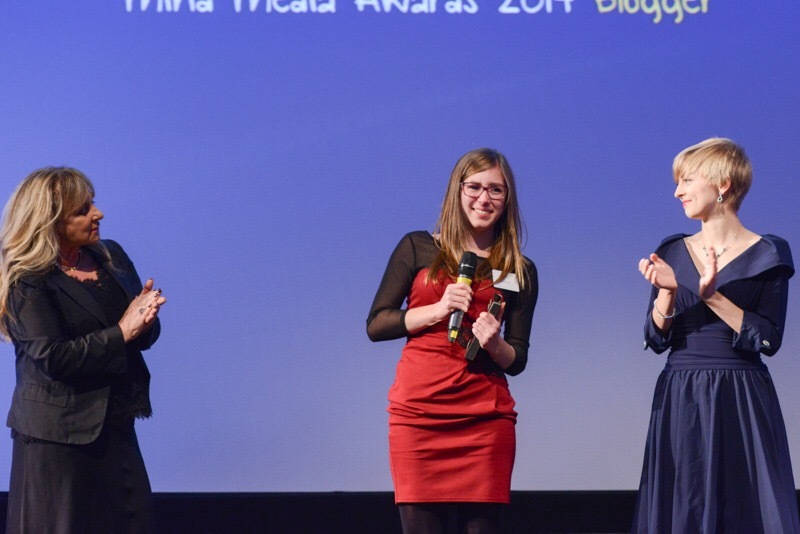 Over the course of the evening the awards were presented to very deserving nominees, such as BBC3’s documentary, ‘Diaries of A Broken Mind’ and Publication ‘Top Santé’. Ellen White, for Ellen’s OCD Blog. I was blown away. I won. I actually won!! So I made my way down to the stage and was handed the award and a microphone. I ended up just crying on stage. I was so overwhelmed with emotion, it was all I could do. The crowd were so supportive of this. They clapped when I was unable to say anything because of the tears and I’m so grateful for that. They were all so lovely. I did manage to say a few words in-between the tears, but it was all I could manage. 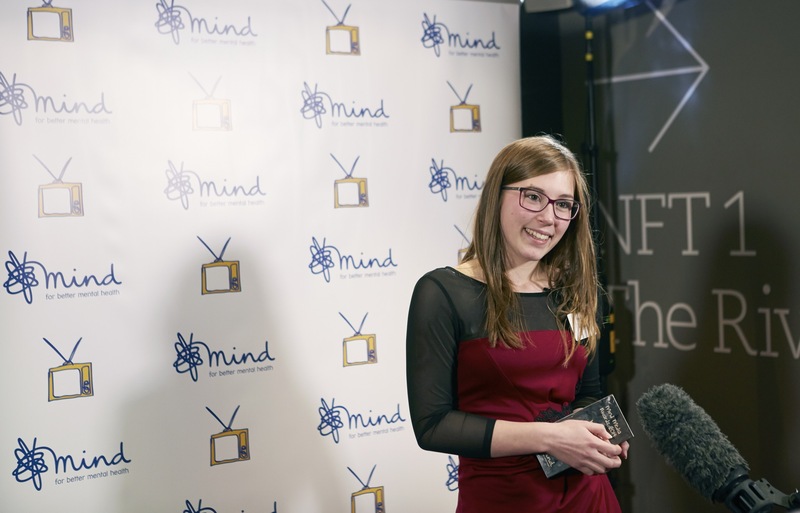 I was then taken behind the theatre to be interviewed by Mind! I was shaking so much when she was asking the questions and probably talking too fast, but it was such an experience. I am eternally grateful for this opportunity. To think that only a short year ago I decided to create my blog to provide a platform for other young people and adults alike to find support. To help diminish the stereotypes of mental illness. To be the advocate for young people’s mental health. So to have been given this prestigious award fills me with overwhelming happiness. I also want to say a huge thank you to every single person who came up to congratulate me and talk to me. Your support means the world and to be recognised for the work that I do is mind blowing. Heck! I’m just 15 year old blogger Ellen with a passion for mental health awareness. Never would I have thought that I would be here today having experienced the things and been given the opportunities that I have. I could not have done this without you. Every single one of you who has viewed my blog has made an impact on my life. I can never repay everyone for the amount of support I have been given. 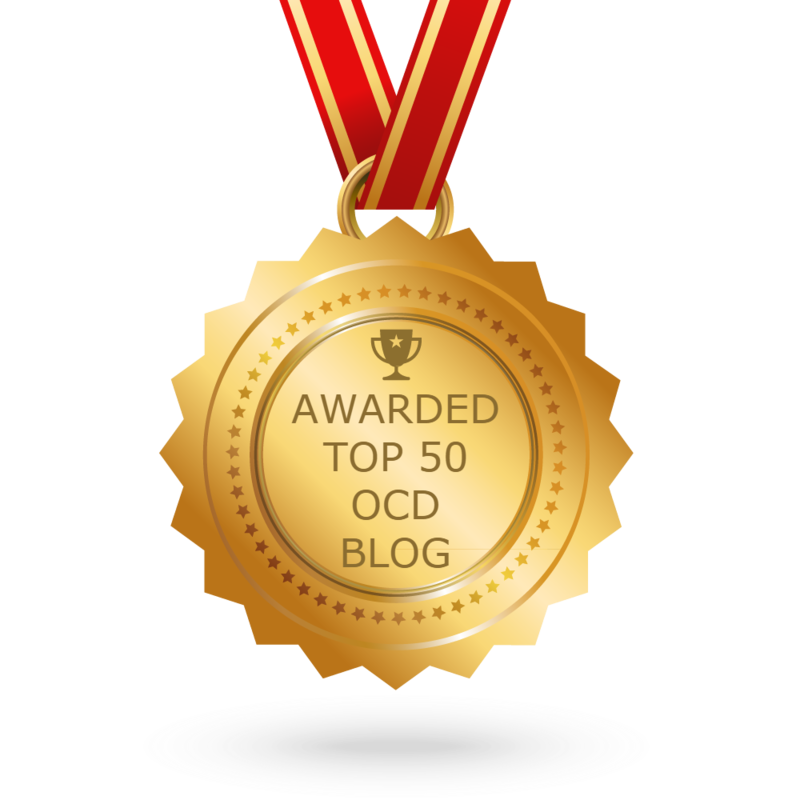 But I promise that I will continue to fight for the awareness of mental health, I will continue to blog and strive to help others in their fight against OCD/mental illness and I will always be here to support anyone that needs it. I also want to say a huge thank you to Mind for organising such an amazing night. To take the time to really cherish the phenomenal positive media coverage surrounding mental health is something that cannot be beaten and what you’re all doing to help shape the world regarding mental health is amazing. I am honoured to be a part of this change. A change that we can all be a part of, a change that will see the stigmatisation of mental health change forever. Ellen, I am SO proud of you and happy for you! One thing is for sure. 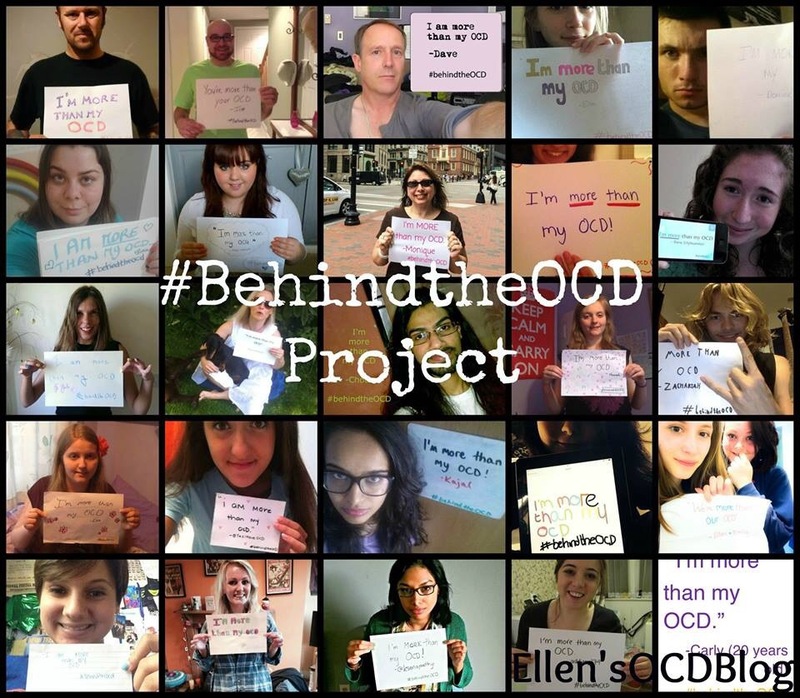 You are not “just 15 year old blogger Ellen.” You are very special and I look forward to following you as you continue to fight the stigma of mental illness. Congratulation on a very well-deserved honor! Ellen, congratulations on your well deserved award. You continue to inspire people daily and people like you have inspired me to start my own blog about my fight with depression and mental health stigma. If i can help even 1% of the people you help with your blog, I’ll consider it a success. Thank you!! It still blows my mind that I’m inspiring people. I feel really privaleged to have been able to inspire you to start a blog. Its something I love to do and I hope you do to! I’ve only just started writing since Christmas. I feel lucky to be in a better place than i was before and its only right that i try and perhaps help others too. I’ve found writing about things on my blog quite theraputic in itself.